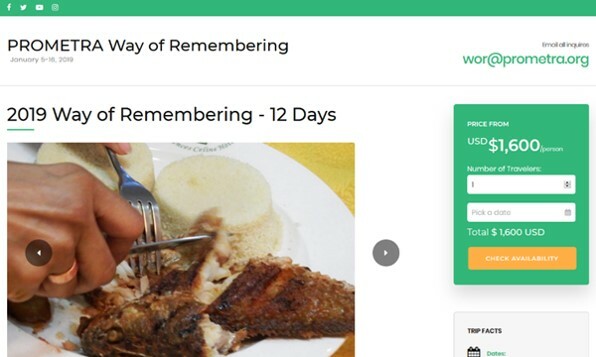 Select “2019 Way of Remembering” Trip from the homepage. 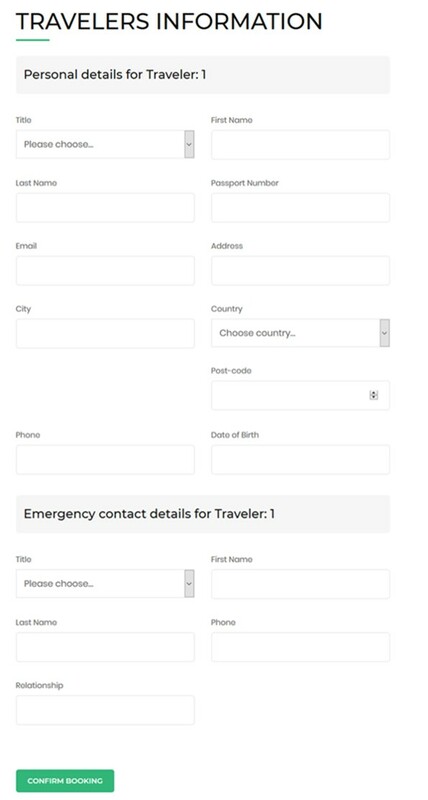 After reviewing the trip details, select the number of travelers and date. The date chosen should be Jan 5, 2019. 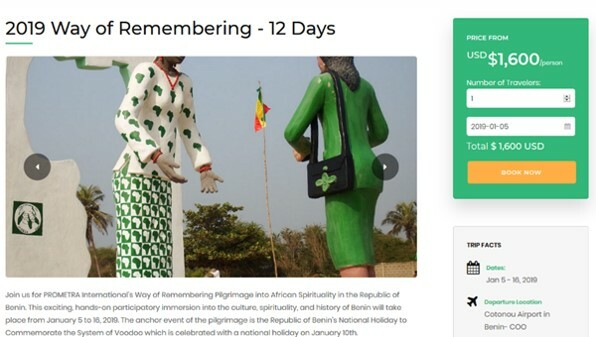 There are two ways to pay for the trip via the Way or Remembering Website. Confirm that the number of travelers is correct. 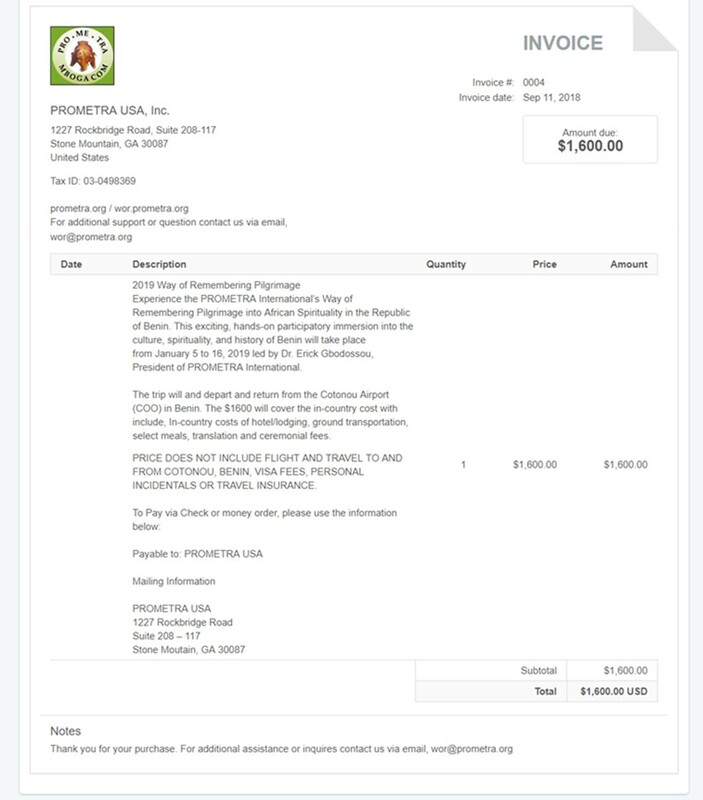 This will redirect you the PayPal portal where you can complete your purchase. 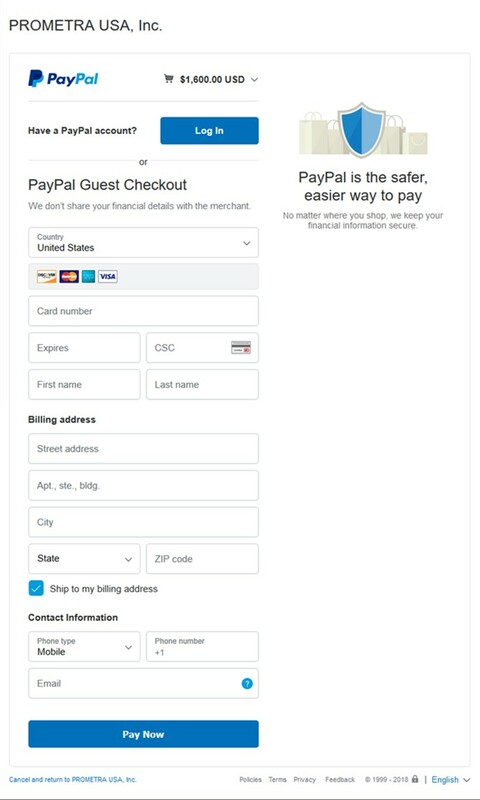 After entering all the necessary information for PayPal, you will be directed back to the Way of remembering site to enter your Travelers Information. This will send you to the next part of the booking / registration process. 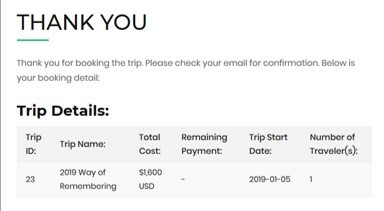 Complete the travelers information which will only be used to contact yoy with more information as well keep a record of the participates on the trip. Please note that a passport number is required. 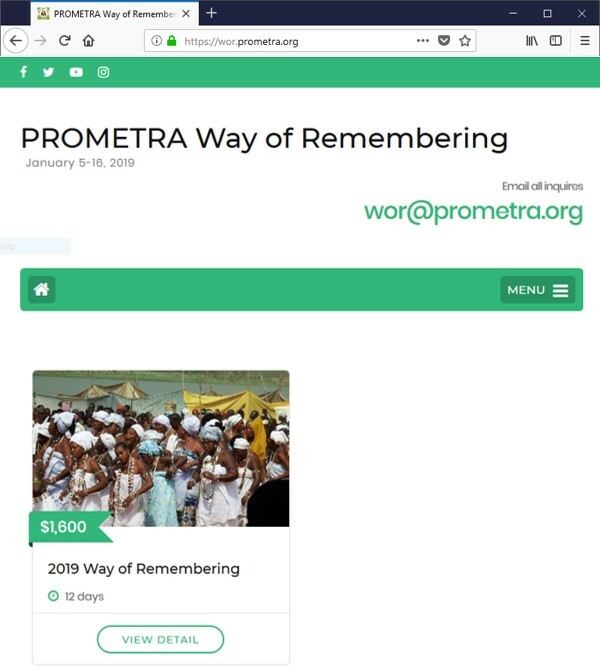 If you currently do not have this information, please input a random number and send the updated number to wor@prometra.org. Once all the information has been inputted you will receive a confirmation message. Additionally, you will receive an email. For additional assistance please send an email to wor@prometra.org.